Lebanese machine manufacturer meets international and Chinese nonwovens suppliers. 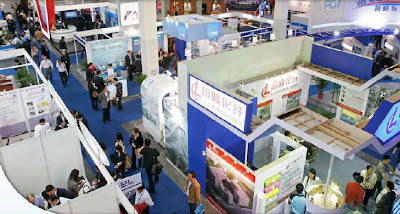 Phoenix Machinery team attended the 13th Shanghai International Nonwovens Conference & Exhibition in Shanghai, China from 20 - 22 May 2009. Shanghai International Nonwovens Conference & Exhibition combines Asia Nonwovens Exhibition 2009 (ANEX2009) with Shanghai International Nonwovens Exhibition 2009 (SINCE09). Phoenix team members learned about the latest technologies and trends and met suppliers, including nonwovens machinery and equipment manufacturers and raw material suppliers. Phoenix Machinery manufactures hygiene disposables and tissue converting machinery, automation and drive solutions, Erhardt + Leihmer E+L, FIT International, Inc. and Airmat Technologie and Webex, Inc. They also offer scheduled technical mechanical training courses at the customer's premises or at their training facility at Phoenix.